Taken at La Chapelle-en-Vercors, France, on July 23rd 2018. A large, strongly patterned butterfly. It mostly keeps its wings closed at rest. The sexes are similar. It is widespread and common in southern and central Europe, including the main Mediterranean islands. It prefers light woodland, grasslands bordering forest edges and generally dry and bushy environments. There is one brood per year, with adults being on the wing from June to September, depending on altitude and locality. Larvae feed on grasses such as Festuca, Bromus, Anthoxanthum, Sesleria etc. It will take nectar from thistles or eryngeums, and also take nutrients from cattle dung. 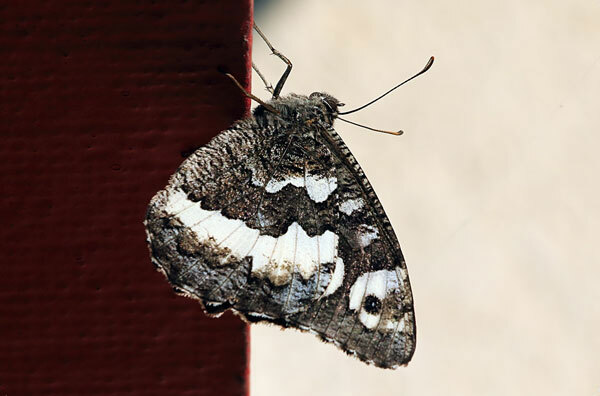 The Great Banded Grayling is a graceful glider, and dominates its habitat.